Worry None About Sleeping Past Practice With a Soccer Ball Clock! 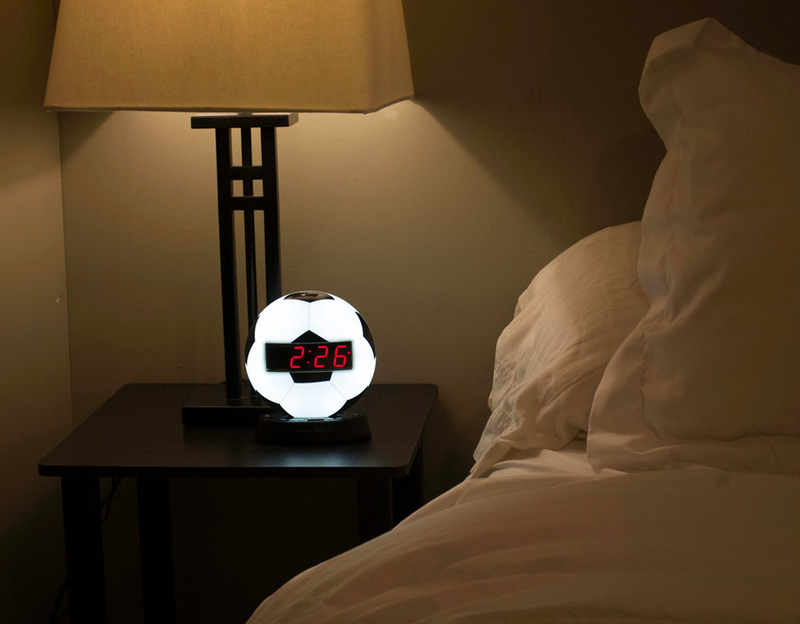 Wake Up On-Time For The Game With a Soccer Ball Clock! Do you play soccer? Have you always been a fan of the game? Then, this soccer ball clock is for you. Sleep and relax to the dimmable night light's glow and tranquil sounds. You could wake up to an alarm you recorded yourself or one of the three prerecorded ones. 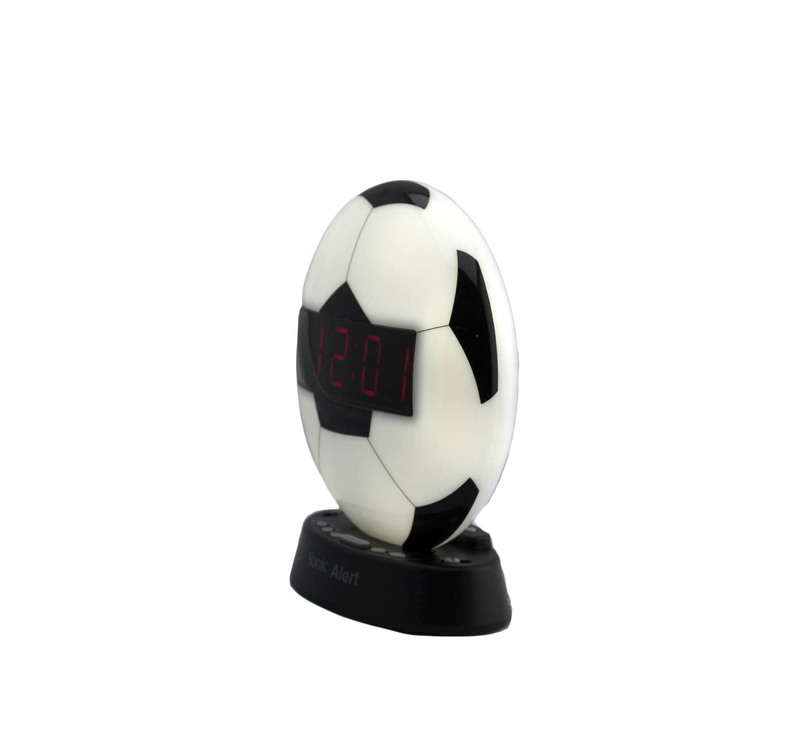 If you have trouble waking up, the ball alarm clock allows you to turn up the sonic soccer alarm. Also featured is the Sonic Bomb bed shaker on the ball alarm clock that will make sure you are not late to practice or the game. This sonic soccer alarm clock lets you listen to your favorite music via an MP3 player or cell phone. Start your soccer event off right by getting a peaceful rest and waking up on-time!